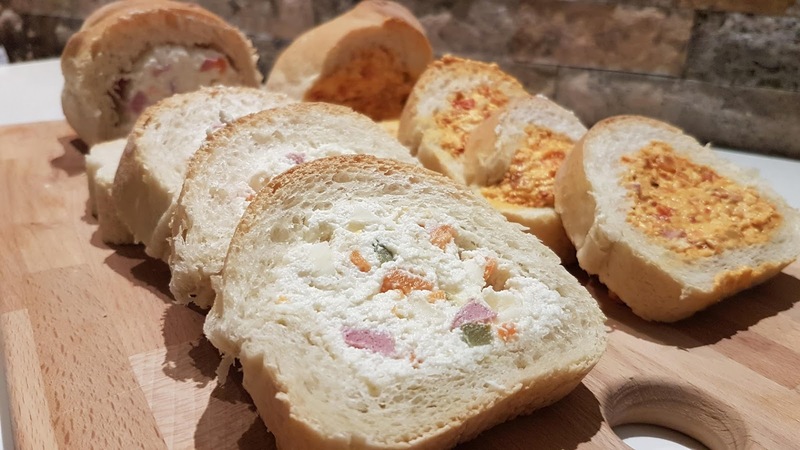 A very tasty recipe and after I made it and tried it, I realized that it is one of the most useful ways to use bread to create something that is delicious and resembling on the table and in front of guests. 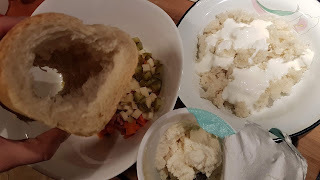 I used the first third of the bread in the morning to make the filled boats, I will have that recipe announced later, and the rest 2/3 of the baguette to fill with some kind of cocktail salad (something like French salad) and after cutting, they look a like salty rolls both in taste and appearance. I warmly recommend this recipe to everyone. The baguette is cut into 3 parts. 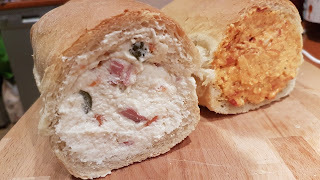 I used 2 parts, and you can use all 3, depends on the bread length, mine was 50-60 cm long. The middle of the bread is removed using a knife, or if you have a thinner fingers, by hand. The middle of the bread is sprinkled with yogurt to get wet. Let it soak. 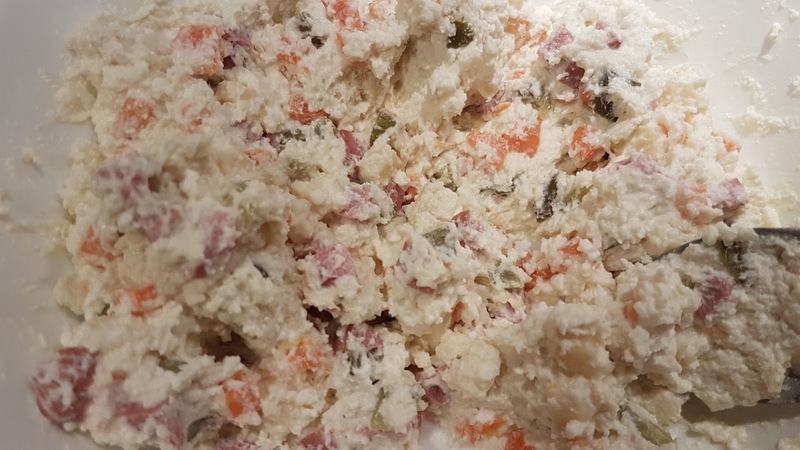 Mix chopped pickles, carrots, salami, cheese, add the ricotta and mayonnaise and softened bread and mix nicely. After I filled up one baguette, I placed 2 tablespoons of ajvar in the rest of the filliong and filled the other baguette with that filling. After you fill the baguettes, wrap them well in a nylon foil and place them in the refrigerator for a couple of hours to harden nicely so that they be cut in slices without any problem. 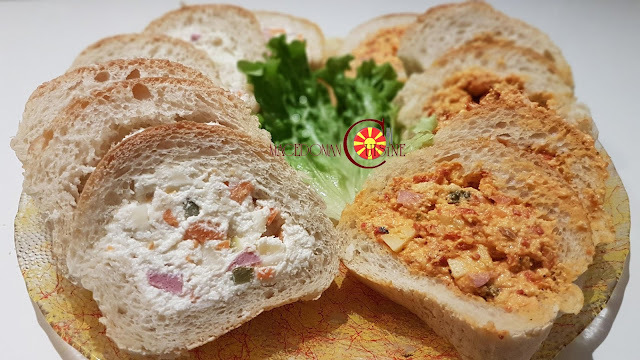 You can customize the filling according to your taste.